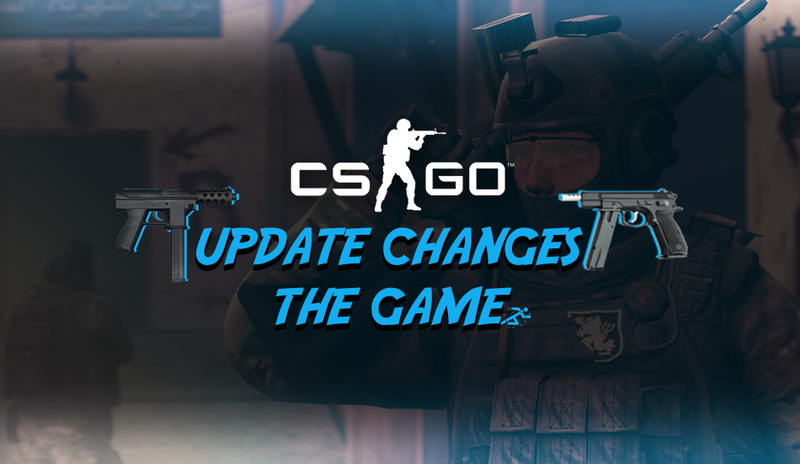 The new update from Valve (1.36.5.6) brings changes in the economy, while the CZ-75 and Tec-9 have been tweaked to make them more balanced. The most notable, and potentially impactful change is the pistol round loss bonus. Both teams will receive $1900, with the loser getting $2400, $2900 and $3400 in subsequent losses and the loss bonus is reset to $1400 after the first round. According to Valve, the move aims at “reducing the impact of a pistol round win on subsequent rounds.” This means that teams winning both pistols will have a distinct disadvantage, as prior to the update winning both pistols increased the chances of getting 6 rounds before the first gun round began. Other changes include reducing the fire inaccuracy of the Tec9, making it a more viable option at medium range encounters whereas the CZ75 has been made more inaccurate and the recoil rate has been increased. The prices of the SG553 and AUG has also been reduced to $2750 and $3150 respectively in a bid to make to make it more attractive in competitive play. Finally, community maps Biome and Subzero have been made available in casual matchmaking as a part of Group Sigma, while Austria is now available in competitive matchmaking. New Community maps Biome and Subzero are now available in Casual >matchmaking as part of Group Sigma. Enabled mouse bindings for voice chat to work at the end of match scoreboard.